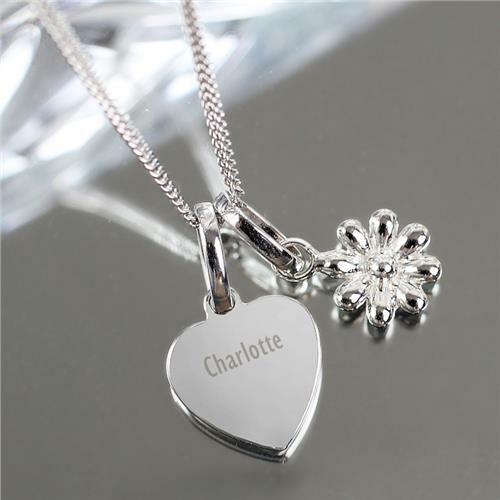 Our Engraved Heart and Daisy Pendant Necklace is an ideal gift for her on any occasion. Please note that all text is case sensitive and will appear as entered. Please avoid entering special characters. The Pendant is made from sterling silver. 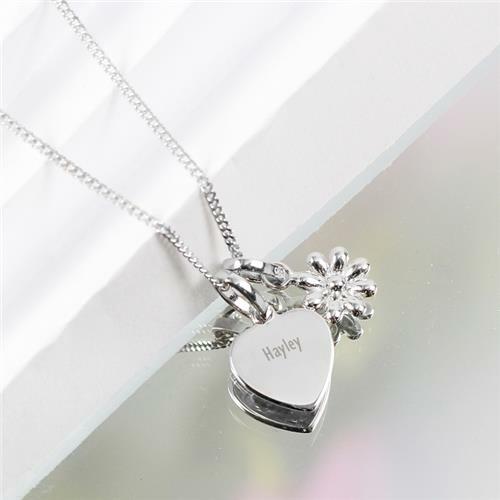 The chain measures approximately 45cm with the pendant measuring 1cm. 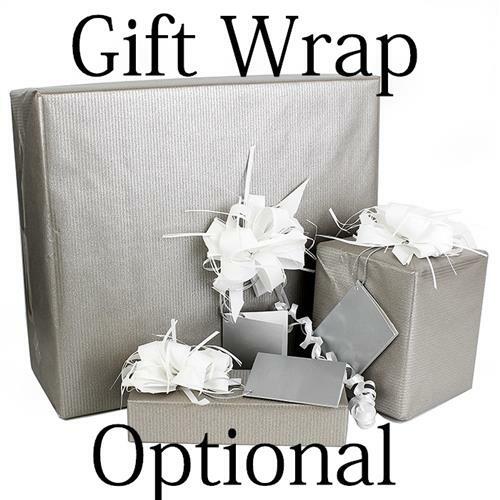 Ideal for Christmas, Birthdays, Mother's Day, Valentine's Day, Weddings.